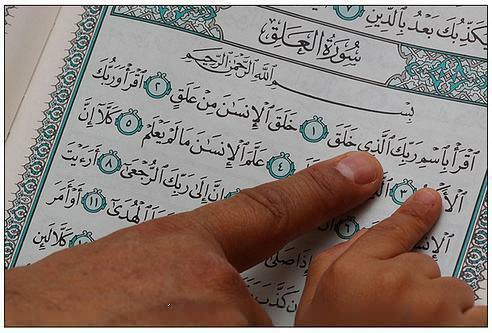 One of the distinctive features of Islam is its emphasis on knowledge. The Quran and the Islamic tradition (sunnah) invite Muslims to seek and acquire knowledge and wisdom and to hold men of knowledge in high esteem. Generally speaking, the Arabic word for knowledge is 'ilm, which, in most cases, indicates to Islamic knowledge or matters related to Sheree’ah (Islamic Law). 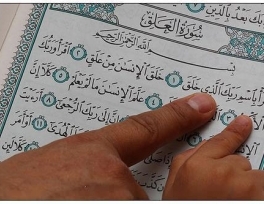 Although, some of the Quranic verses in this article refer to Islamic knowledge, yet they are general in their meaning, and thus can be used to refer to learning in general. The importance of education is a none disputable matter. Education is the knowledge of putting one's potentials to maximum use. One can safely say that a human being is not in the proper sense till he/she is educated. For example the Quran repeatedly asks us to observe the earth and the heavens. This instills in man a desire to learn natural science as well. All the books of Hadeeth have a chapter on knowledge. In Saheeh Al-Bukhaari there is a chapter entitled "The virtue of one who acquires learning and imparts that to others." Islam calls us to learn all kinds of beneficial knowledge. Branches of knowledge vary in status, the highest of which is knowledge of Sharee'ah (Islamic Law), then other fields of knowledge, such as medicine, etc. How great importance is attached to learning in Islam, can be understood from an event in the life of the Prophet sallallaahu `alayhi wa sallam ( may Allaah exalt his mention ). At the battle of Badr in which the Prophet sallallaahu `alayhi wa sallam ( may Allaah exalt his mention ) gained victory over his opponents, seventy people of the enemy rank were taken prisoner. These prisoners of war were literate people. In order to benefit from their education the Prophet sallallaahu `alayhi wa sallam ( may Allaah exalt his mention ) declared that if one prisoner teaches ten Muslims how to read and write, this will serve as his ransom and he will be set free. We can freely say that this was the first school in the history of Islam established by the Prophet sallallaahu `alayhi wa sallam ( may Allaah exalt his mention ) himself with all its teachers being non-Muslims. Furthermore, they were all war prisoners.